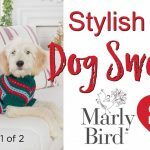 The post DIY Stylish Knit Dog Sweater For Extra Small, Small, Medium And Large Dogs Part 1 Of 2 appeared first on Saif Ahmed Khatri's Blog. This entry was posted in Opinion and tagged BAFC, Diy, Dog, Dogs, Extra, Knit, Large, Medium, Part, Small, Stylish, SWEATER. Bookmark the permalink.